One of life’s secret pleasures for a Muay Thai fighter is introducing friends and loved ones to the sport of Muay Thai. As a spectacle, it is unbelievably exciting and captivating to those who had never before witnessed the art in motion. 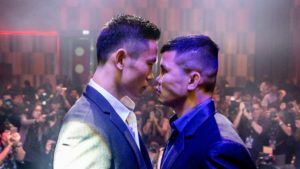 Observing a fresh face in the crowd – be it a family member of a fighter in an amateur bout, or a westerner who had wandered in midway through an event in Bangkok – can bring us back to the time when we had our first introduction to Muay Thai. As kicks and punches are thrown, all eyes are focused on the two warriors inside familiar ropes. They square off, throwing punches as a boxer would. Kicks are launched at one another, much like in any Hollywood martial arts movie. There is pretty much nothing too exotic or out of place in the action until the moment a Nak Muay flies through the air and connects with a spectacular knee which floors his/her opponent. Flying strikes may be beautiful to look at but from a good, safe distance. Inside the ring, they can be akin to the gates of hell opening up in front of your eyes. Crafty and unpredictable? Check. A spectacular showstopper? Potentially. An essential tool to take into the ring? Absolutely. If utilized correctly, a fighter can greatly enhance his skill set with this excellent addition to his game. The jumping switch push kick might not carry the same currency when it comes to devastating knockout potential, but make no mistake, this is a powerful skill to have in your bag of tricks. This is an advanced technique, and as such, one which will require a lot of practice to unlock its true potential. The devil is in the detail, so it is important to break down the kick into pieces before putting them back together. When tackling this technique for the first time, you must remember that space is the key. Setting the kick up with a number of push kicks will open up the space required to land the jumping kick. You want to keep your opponent literally on the back foot, and also lure him into a false sense of security. Once space has been opened, this is when you launch the jumping switch push kick. This instructional video above breaks the technique down perfectly. The superman punch is a technique which fans of many sports will be more than accustomed to. From Muay Thai to MMA, Taekwondo to Western Kickboxing, this spectacular flying attack can end a fight if landed clean. In Muay Thai, the superman punch is generally thrown in a different manner in comparison to MMA, for example. 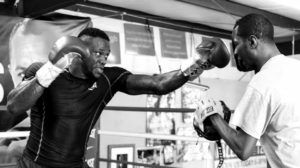 In the latter sport, fighters tend to throw the punch a little looser, wherein Muay Thai, the mechanics behind the attack are generally more refined. The technique a fighter should be using when attempting the superman punch are integral to the chances of pulling it off. In basic terms, the idea is to give an opponent the false impression that you are throwing a kick with your rear leg. To feign this kick, a fighter should bring the rear leg forward before pulling it back while simultaneously throwing a cross with the rear hand. 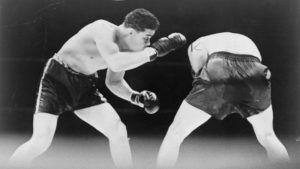 The movements should be quick and snappy, with the momentum of the punch being powered through a downward motion towards the opponent’s chin or jaw. Check out the excellent demonstration above from Muay Thai World Champion Yoddecha Sityodtong. There are many variations of the flying elbow. In this example, we will discuss the downward spiking elbow. This attack can be one of the most devastating finishing moves, given its target (the top of the skull) and the use of the elbow to drive down on this area of the head. 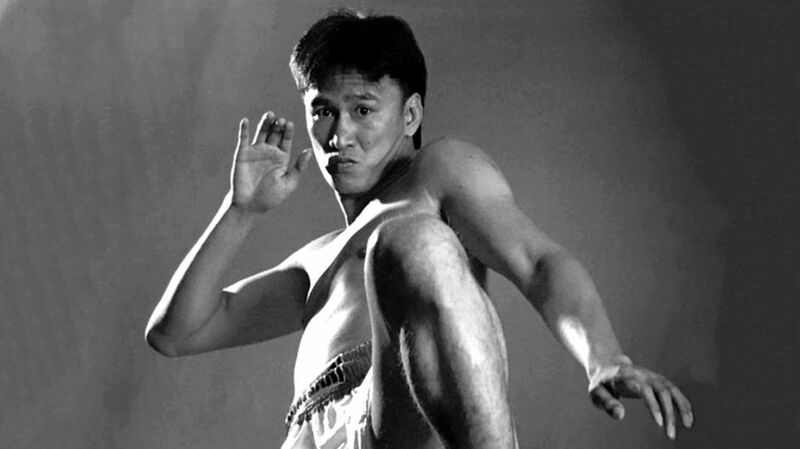 This is a technique which was popularized among many in the “Ong Bak” film series, bringing the downward spiking elbow to a wider audience. While this technique is one which also requires a fair level of practice, drilling the setup can often be more important than the strike itself. The best way to practice the downward spiking elbow is in a gym with a partner holding pads. Ensure that your technique to set up the strike is as smooth as possible, as if this attack is too predictable, it can result in a fighter exposing themselves to an array of counter-attacks. In order to perform a downward spiking elbow, you will need to open up the space required to land it. There are a few ways you can do this, with a push kick being perhaps the best way to naturally drive your opponent back. Following the push kick, you can then throw a flying knee to your opponent’s midsection, with the downward spiking elbow coming in over the top. The momentum a fighter can pick up in mid-air and transfer through the hard point of the elbow can easily result in a KO. 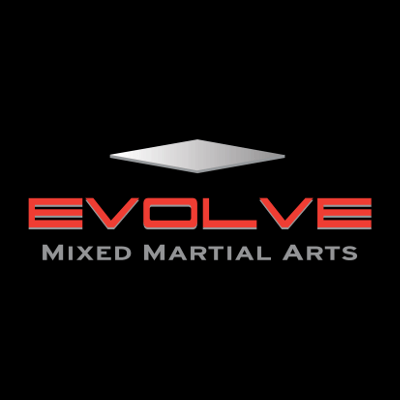 Multiple-time Muay Thai World Champion Sagetdao Petpayathai from the EVOLVE Fight Team exhibits an excellent version of this strike in the video above. 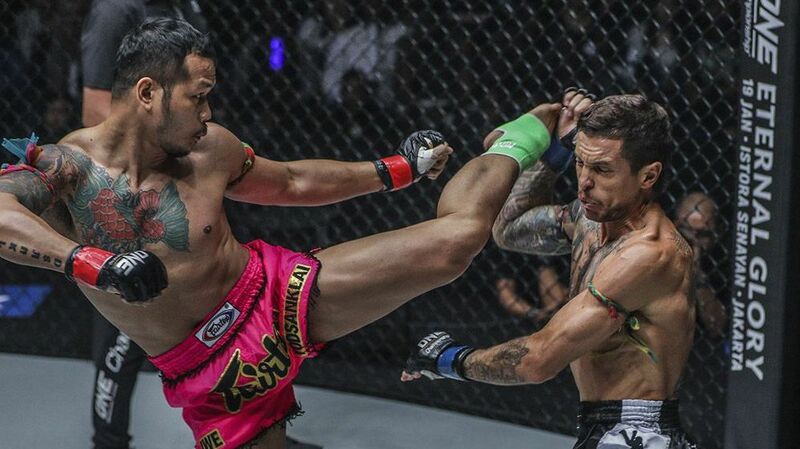 There are not many strikes in Muay Thai which catch as much attention as the jumping roundhouse kick. 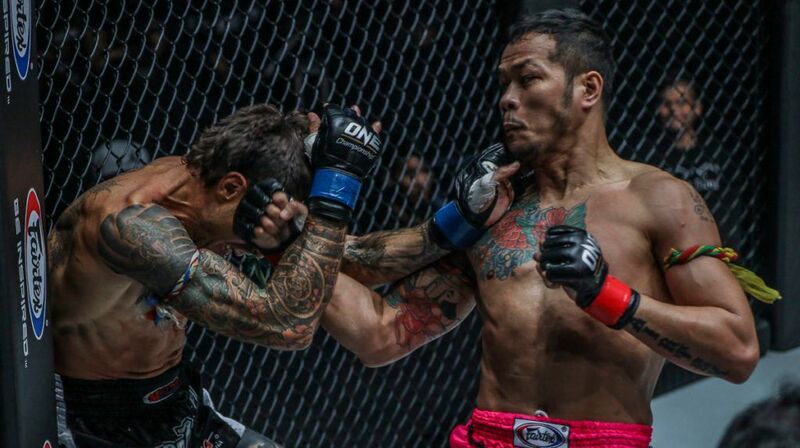 This is one of the most spectacular, night-ending strikes any Nak Muay can have in their game. A nightmare of a strike to an unwitting opponent, highlight reels are littered with some truly outstanding jumping roundhouse kick knockouts. It is not just inside the ropes of a Muay Thai bout where you will see this kick, as many MMA fans will happily tell you. 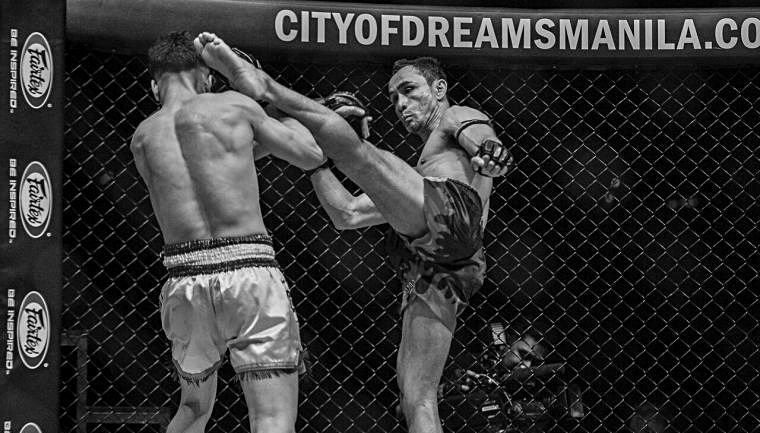 As Muay Thai is one of the most effective striking arts worldwide, it is not uncommon to see fighters try the jumping roundhouse inside the cage. As with any technique of this nature, drilling it over and over again is the only way to ensure that the process is watertight. The setup will be crucial to finding a way to landing the jumping roundhouse kick, so it is important to make sure you know the best way to create the distance necessary between you and your opponent. Factoring in potential countershots and how to defend yourself following a botched attempt is also a good idea. Setting the kick up with a jab and then a push can be the perfect way to create an opening. You cannot get better than that of multiple-time Muay Thai World Champion Nong-O Gaiyanghadao, who breaks the technique down this way on the video above. The flying knee is simply one of the most spectacular strikes of any martial art and is without the most devastating strike to land on an opponent. 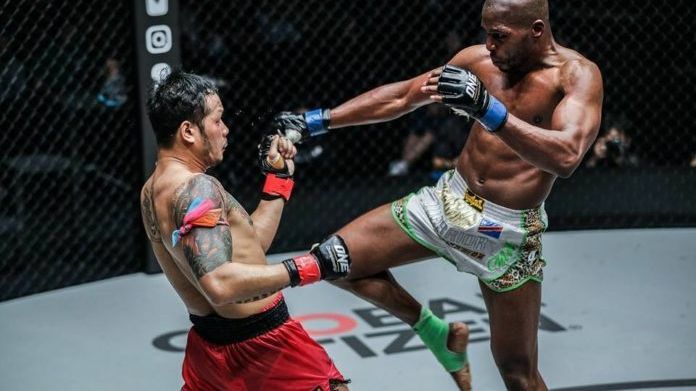 As beautiful as it is brutal, there are many reasons why many Muay Thai and MMA fans would cite it as their favorite technique to watch. Despite the technique originating in Muay Thai, many MMA practitioners, from Jose Aldo to Yoel Romero, have earned huge acclaim for their incredible highlight finishes this way. One of the main reasons why fans have a particular affinity for the flying knee – or flying knee knockouts, to be precise – is that they are rare. The combination of skill, timing, and technique required to pull one off does not come easy. As such, they are not common. In Muay Thai, however, they are more frequent than in MMA. 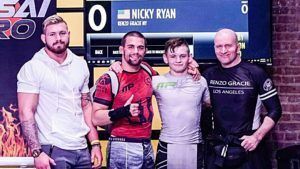 Fighters are certainly more adept at landing them, across the board, then their mixed martial arts counterparts. Nak Muays are also more aware of the potential of being knocked into another dimension by the sheer force of this shot, making it a lot harder to land one inside the ropes against an elite fighter. Although the flying knee is an advanced technique, it can become second nature with frequent drills and practice. The best platform to start from is to watch as many videos as you can of Muay Thai flying knee strikes and study the fighters’ bodily positioning, distance, and how they launch the attack. As previously mentioned, any advanced technique should always be broken down into fragments before being put back together in practice. Never make this strike look too predictable, or let it become a staple of your attack. Feint teeps and mix up your movement to drop your opponent’s guard and keep them off balance. If you get this strike right, you could be looking forward to an early night.